Creatine is naturally made by our kidneys and liver. It is carried throughout the body in the blood and provides energy to your muscles. Your body makes most of the creatine you need, but it is also found in meat, poultry and fish. 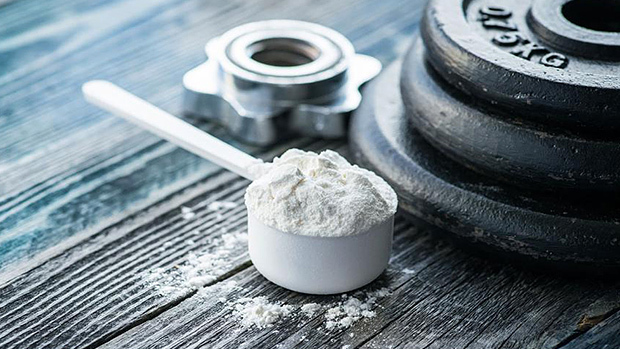 Creatine supplements have a much higher dose than what is found in foods. Can creatine supplements help me play sports better? If you participate in endurance sports like long-distance running, creatine may not give you a lot of benefit. Research on creatine supplements have not shown any health risks in healthy adults when taken in recommended amounts. However, the effect of long-term use of creatine supplements is not known. What do I look for on the package? Look for a creatine supplement that contains creatine monohydrate. This is the form of creatine that has been studied the most and is the recommended type to use. Creatine monohydrate combined with a carbohydrate (like dextrose or other sugars) is best absorbed by your muscles. If you are buying a creatine supplement, look for a natural product number (NPN) or drug identification number (DIN). These numbers tell you if the product has been reviewed by Health Canada and is safe to use. Creatine supplements are not recommended for anyone under 18 years of age as well as pregnant or breastfeeding women. Speak to a health professional before taking creatine supplements. Always read and follow the instructions on the package when taking creatine.